When the time comes to start building or redesigning your garage, you will be presented with a variety of styles and options. Deciding what will be the best garage materials may be challenging, especially perhaps the most important piece of the building: the garage door. Garage doors are available in several different types of materials, some of which are more well-known than others. There are pros and cons to each material depending on what you want the overall purpose of your garage to be. 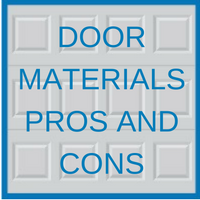 Pros – These doors are reasonably priced, stable, low maintenance, and are available in multiple styles with or without insulation. Cons – A steel garage door can be dented easily and is subject to corrosion. Pros – This material has long-lasting finishes and is similar to steel, but is less expensive. Cons – Aluminum is less expensive than steel which usually means it is more likely to dent and does not last as long as a steel garage. Pros – Vinyl requires minimum maintenance and is difficult to dent or break. Cons – This material is costly and has limited color selections. Pros – Wood garage doors come in a variety of styles which can give curb appeal and custom options are available. Cons – This material requires high maintenance, it is costly, and it has the potential to rot. Pros – A wood composite garage has the strength of a steel garage, can be painted or stained, and is resistant to rot and splitting. Cons – This material can be costly and is high maintenance-oriented. Pros – Fiberglass does not easily rust, can be painted, is resistance to dents, lightweight, and comes in a variety of design options. Cons – This material can break easily and is frail in extremely cold conditions. 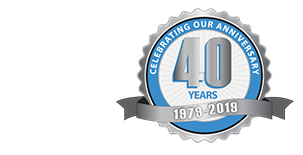 Visit Blue Sky Builders online or call 630-852-8485 today to learn more about garage door materials. Reach out to our specialized team of garage experts to discover what styles we recommend and how we install quality garage doors for your home.